One of the biggest misconceptions in marketing is that you need a large audience to make a large amount amount of money. For most businesses, this simply isn’t true. It doesn’t take tens of thousands of followers on social media, readers on your blog, or subscribers to your email newsletter to make some serious money online. The right people paying attention to your brand. A good system in place to maximize the lifetime value of each customer. In this article we’re going to cover the first one. Let’s discuss a few proven, time-tested , and free methods to attracting hyper-engaged fans, that will flow your brand the sales, attention, and fan base it needs to flourish for years to come. I am a huge fan of Quora for brand building purposes. I’ve used it extensively to help build both my baby product brand, as well as my personal brand. If you’re unfamiliar with Quora, it is essentially a giant question and answer site – like Yahoo Answers back in the day, but much better. The huge benefit of Quora is that the right questions get a lot of views, and by providing a valuable answer, you can quickly be perceived as a thought leader and expert in your niche. 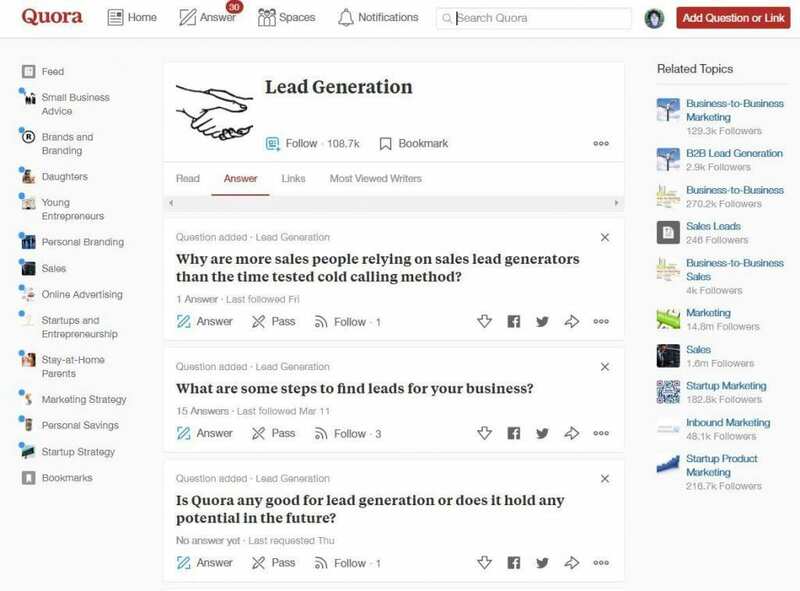 On top of that, Quora allows you to link out to your website when it’s relevant to the question, which can be a great way to build traffic as well. Have a high follower-to-answer ratio. Have a large number of views, but few answers. You can write a valuable, unique answer for. Answers that you can tie a personal story or experience to tend to do particularly well on this platform. However, your Q&A strategy shouldn’t end on Quora. I write a detailed and thorough answer on the topic, investing a significant amount of time into most answers. Quality really is better than quantity here, especially when you’re picking good questions that fit the criteria just mentioned. I do this first, to really fletch out my feelings and perspective on the topic, think things through, and come to a conclusive answer. I later come back and do a YouTube video on the same question, using the main points of my answer as a basis for the video. I don’t copy my original answer word for word, but I use the answer as an outline. Because I’ve already thought things through when writing my initial answer, doing an on-the-spot YouTube video without any sort of script isn’t too difficult. After the YouTube video is published, I go back and add it to the initial Quora answer. I also utilize it in any future Quora questions that are of a similar topic, when the video is relevant to include. Now these videos individually aren’t getting many views right now, but over the course of months or years, who’s to say they won’t add up to a sizeable amount? If you want to watch as I continue to carry out this strategy going forward, click here to follow me on Quora! By this, I mean reach out to other people and provide value to them one at a time. Likewise, respond to every person that reaches out to you, as if they were the most important person in your world. This sounds like an extremely unappealing strategy, because it’s hardly scaleable. We all want to reach as many targeted people as possible with each piece of content that we put out, but when you’re just starting, that isn’t as easy as it sounds. However, meaningful interaction with the right people can be just as powerful, if done right. Elon Musk once said something along the lines of this – you can either solve a little problem for a lot of people, or a big problem for a few people, and both of these strategies will make you rich. The same concept applies to building followers, and eventually, customers. I’m a huge fan of actively going out and actually interacting with other people. Leave comments on other people’s social media posts. Send them an email that provides value to them upfront. If they have a website, leave a comment. In today’s social media landscape, where every person seems to be greedy and self-centered, an action like this can really go a long way. And become customers more quickly. Due to how unscaleable and tedious this strategy is, very few people will actually follow my advice and try it. This gives you a further advantage. It’s undeniable that more and more content is being consumed through audio. It makes sense – audio does not require your full attention like a traditional article would. You can listen to audio while you do something else – exercise, drive, shower, etc. In today’s busy world, this offers a huge advantage. This is how I’m able to get through so many books so quickly – I listen to them while I do other things. However, it’s also powerful for building engaged fans of your business. Audio content is not skimmed like blog articles are. All of the blogs I run have heatmap software installed, and I can see exactly how people behave on any given page. Skimming is a reality. People just care about their time too much to pay attention to every word. They look for the information that’s most important to them, and they bail out. This is a shame, because the real gold of your posts may be in the details. Sadly, many people will never dig deep enough to find it. If you can draw people in to an audio post, there is often a higher chance that they will consume all of it – including any advertisements you may mention within the content. If they like what they hear, they may listen to much more of your content – queuing up a large amount of it. This is why each one of my posts is repurposed for audio, and is included on all of my article pages. My audio blog only launched a few weeks ago, but data is already showing that people are going through and listening to every episode released so far. Not too difficult because it’s only around an hour of content in total, but impressive none-the-less. Consider repurposing some of your written content to audio. Not only will it bring in new consumers of your content, but it will engage these people in ways that written content may not be able to – quite valuable if your goal is to convert these audience members into buyers! One of the quickest ways to skyrocket your brand’s fanbase is to align yourself with people who have the audience that you want. There’s a reason that influencer marketing is so powerful today – it’s very effective for most companies. If you have a low number of followers or customer testimonials, social proof is working against you – not for you. It’s harder to establish trust and prove that what you’re offering is actually worth it. According to Spiegel Research Center, 72% of customers don’t take action until they’ve read a review, and having 5 or more reviews can improve conversions up to 400%. When you work with somebody that already has a loyal, engaged, and passionate fanbase, it’s almost as if your company is being endorsed by that person or company. You get to leverage the trust and influence of that person to build your own brand and community. If possible, you may wish to pursue more full-blown collaborations rather than just influencer marketing deals. The former will build opportunities for years to come, the latter is just a business transaction. 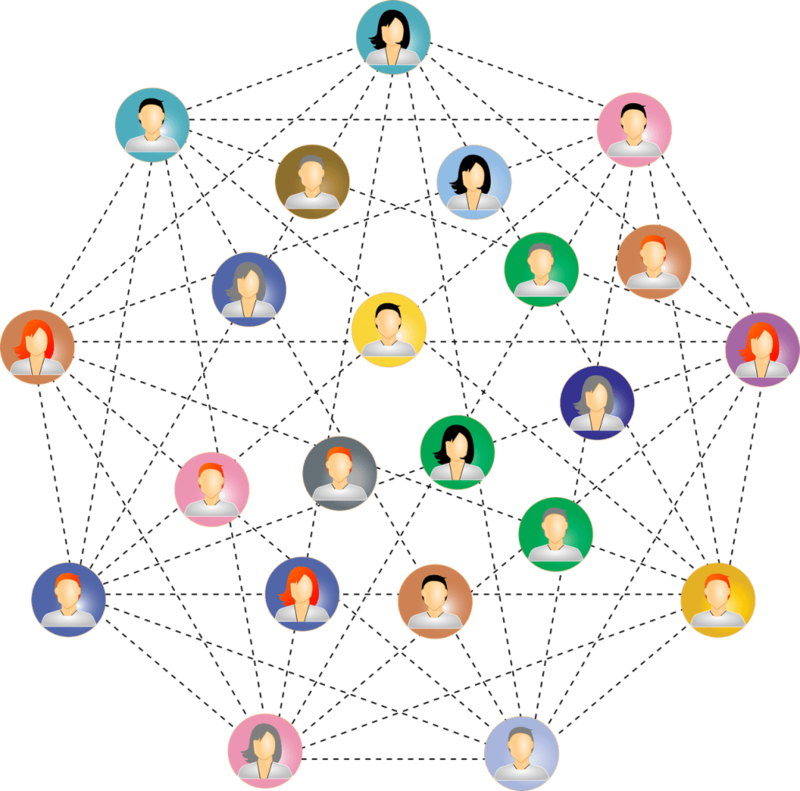 I truly believe that smart networking is one of the best ways to build your business over the long-term, and I consider it to be one of the most important skills for entrepreneurs to master. Your marketing efforts shouldn’t leave you with channels that are heavily isolated. Each platform you use to build your awareness and your brand should work together in a system, which each one building the others up. The largest pieces of content I publish for my brand are these articles, here on my site. It’s here that I get to really delve deep into a topic, analyze it, do my research, form conclusions, and write out my thoughts completely. However, the content does not live only my site. Taken the main points and made them into a SlideShare, which is published the day the post goes live. Used the blog post as a script for my audio blog, to be consumed on people’s favorite podcast player. Combined the two into a YouTube video, which is also published the day the post goes live. Created social media graphics from the post, some of which may be embedded back into the article. Then, after the post is published, I will link to it whenever relevant inside of Quora answers, bringing people back to my site and allowing me to be seen and heard from more often. The truth is, if you’re not constantly getting in front of people, your influence will drop and they will quickly forget about you. The world is just too busy today for one piece of content to cut it. At the same time, more content allows people to connect with you on a deeper level – learning more about what makes your brand special, your personal values and viewpoints, and why these people would want to do business with you. Email – Still The Ultimate Nurturing Tool? Most experts agree that email has been the best way to convert interested prospects into buyers. It’s personal, it’s one-on-one, and allows you to develop extremely targeted, automated marketing funnels that move people towards whatever objective you have in place for them. These days, with people spending more time on social media and less time reading their email, it makes sense to worry about whether or not email marketing is still worth it. The truth is, social can’t compete with email when it comes to closing sales, but it’s also more important than ever to have a smart social strategy in place. Again, each system needs to work with each other in order to increase engagement and sales. However, at each part of this process, I am also promoting the others – encouraging website visitors or email subscribers who haven’t followed me on social to do so, and promoting products when relevant. This is largely due to the fact that people may initially find me through any one of these channels – it doesn’t always go in this order. Email Marketing: Building A Huge List Of Engaged Subscribers! Email marketing strategy can range from stupidly simple, to insanely complex. Sure, you could throw up an opt-in form and blast emails to everyone on your list at once. This will make you a little bit of money, but not nearly as much as a more complex system could. Email marketing is powerful because it has the potential to sell for you on complete autopilot. I hate using that term because it sounds so scammy these days, but in this case, it’s actually true. Someone signs up for your email newsletter, because they were interested in what you had to offer. You may have even changed your lead magnet, or what you give people in exchange for signing up, depending on what you knew they were interested in. They are automatically sent a series of emails you wrote in advance, at pre-defined intervals. You can split-test different subject lines on every email to see which perform better, and make adjustments over time. Depending on what actions people take within your email newsletter, such as opening certain emails, clicking certain links, or of course, buying a product, these subscribers are moved to different lists, potentially with different email sequences. This means you can target these lists with individual offers in the future. Because the emails are so relevant and targeted, people actually pay attention to them, even look forward to receiving them. This is why it’s not difficult to make a lot of money online, even with a small audience. There are people making full-time livings with only a few hundred email subscribers because they’re able to sell to them so effectively. By implementing all of the brand building strategies mentioned within this article, and then following it up with a smart email marketing system, I promise that you’ll do very well in the next 12 months – and it’s all up from there. I want to make that easier for you. I’ve put together a course that discusses all of this in more detail. It’s going to take you through every step of the process and show you how all of this works together, helping you form a strategy that’s ideal for your business. A strong, nurtured email list is your ultimate asset because it can’t be taken away from you. It isn’t prone to algorithm changes, random account bans, or feature changes. It will always be there making money for you, day in and day out. Commit to building your email list right now by picking up my email marketing course. Making money online doesn’t require a huge audience, nor does it require a huge investment of cash. Making good money online takes a smart approach, and the courage to execute it. By implementing the strategies laid out for you in this article, you are given the opportunity to build real, powerful connections with consumers in your market, and maximize the return on all of your marketing efforts. I hope that this article has been valuable for you, and I’d love to hear how you plan to implement the strategies mentioned within this article going forward. All great ways to build your business around 10,000 fans! Engagement is the critical part of it, as you’ve pointed out in so many different ways here. I like your YouTube strategy, and agree that video should be on the top of your list for building a fan following. More than YouTube, even, I love Facebook Live. I do these often and even created a course to teach others, too. It’s such a dynamic, reality based method for connecting with people. And it makes audience-building really effective, especially combined with all the other things you point out here. Great point about live video. It’s probably the most engaging platform of all, other than actually being there with your audience in person. Now that you mentioned it, I should have noted something about it in the section here about working with people one-on-one. The only reason I haven’t pursued more of it relative to YouTube myself is that I’ve been really focused in on long shelf-life content, but need to do more live video for the engagement factor alone, and not worry about it so much from an audience growth perspective.